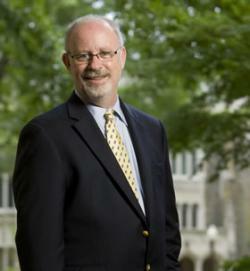 Duke’s Christoph Guttentag is one of the most candid deans of admission around. And he always has been (photo credit: Duke University). Guttentag goes on to discuss how admissions officers at Duke then ask themselves how they can picture this student at Duke University, what they’re going to add to the Durham-based university both on the campus, in the classroom, on the athletic fields, etc. Admissions officers of course ask themselves, “How will this student add to our school, to our community?” Guttentag says that he learns about students from what people say about them, what they say about themselves in their admissions essays, in their alumni interviews, etc. so that they can “create images in their mind” of who these people truly are and what they’re all about. The dean of admissions at Duke also states that while geography alone doesn’t create diversity, geography can impact a student’s views. And, of course, it’s quite important to create a class at Duke of various viewpoints. As Guttentag says, “Colleges don’t just want to create a diverse class now. They want to create a diverse class 20 years from now.” This is so Duke and other highly selective colleges will have a presence in so many areas that shape our world in the years ahead. The interview with Guttentag is quite long and we’ve only discussed a few tidbits from the piece. But we encourage you to check it out as it’s, unsurprisingly, quite good!